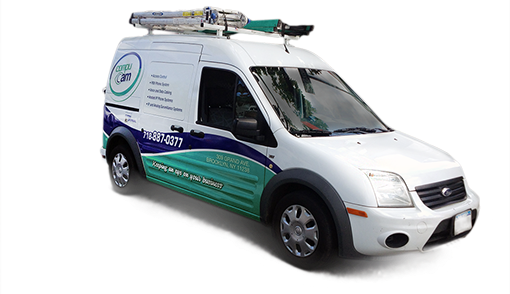 From closed-circuit interior cameras to exterior video sweeps, you want 24/7 recording for security, monitoring and insurance purposes. 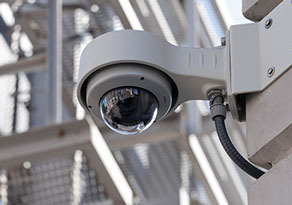 CompuCam empowers you with both traditional and modern surveillance systems that can be customized to give you the exact field of view that you want. Left your key at home? Get in with a passcode. Our access control systems let you set up individual cards and/or key codes per employee, and keep track for you of everyone’s comings and goings. 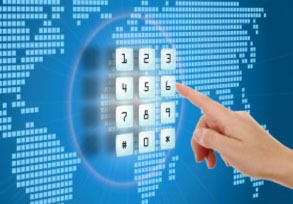 Opting for today’s advanced electronic access devices affords you the peace of mind you need. Forget about squinting at the peephole. 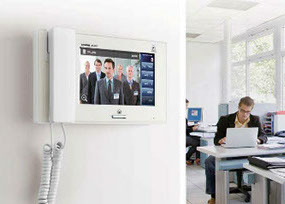 Smart building-wide intercom networks connect your personnel to each other and to the front door. Spring from department to department, open the door to visitors, and speak to just about anyone within your company – all without leaving your desk. Let's start with the cabling. Copyright © 2010- 2017 Compu-Phone Inc.